Cool, wet, summers like the one we have just had in Ontario can have a lasting effect on crop success—in the case of soybean crops, as long as ten years. White mould is a disease that affects soybean plants. The disease is caused by a fungus that lives in the soil surface and forms mushroom-like structures called apothecia. As soybean seedlings break through the soil, the apotheciaejects spores that attach themselves to flower petals and emerging bean pods. As the plant flowers and the bean pods develop, they grow a fuzzy, white, stem rot and hard, black bits called sclerotia inside the stem and pods. White mould affects hundreds of different plants, including soybeans, dry beans, snap beans, lima beans, sunflowers, canola, carrots, cabbage, and many more (fortunately for Ontario grain farmers, it does not affect corn or wheat plants). Once a single plant is infected with white mould, it spreads the disease to its neighbours by contact. The sclerotia is also released into the field when affected plants go through a combine at harvest time—they end up in the soil surface where they can infect future crops. It can take up to ten years for sclerotia in the soil surface to completely disappear. Farmers have come up with a few low-tech responses to the problem that can be very effective means of preventing the spread of the fungus that causes white mould in their fields. Crop rotation is the simplest and often the most effective solution—white mould does not affect corn or wheat, so farmers can grow those crops in affected fields without any issues. Because it takes up to ten years for the sclerotia to completely disappear, and at least five years before sclerotia levels in the soil surface is substantially reduced, farmers will often plant soybeans in affected fields anyways. Research shows that while all varieties of soybean plants are susceptible to white mould, different varieties are more or less resistant to it. Varieties of soybean plants that yield lower are typically less susceptible, as are varieties that can be planted early in the season. Finally, since the mould mainly spreads through plant-to-plant contact, there’s one other low-tech solution for soybean farmers battling white mould: planting in wider rows that make it harder for plants to touch each other. White mould is not a new issue for Ontario soybean farmers, but wet summers like this past one tend to exacerbate the issue. Fortunately, a bit of common sense, as well as ongoing research supported by Grain Farmers of Ontario, goes a long way to protecting the soybean crop. Last week at the International Plowing Match in Simcoe County, it seemed like farmers had one thing on their mind when they visited the Grain Farmers of Ontario: when will the price of corn go back up? It’s true that the price of corn has suffered lately—by July, it had reached a four year low in Ontario. 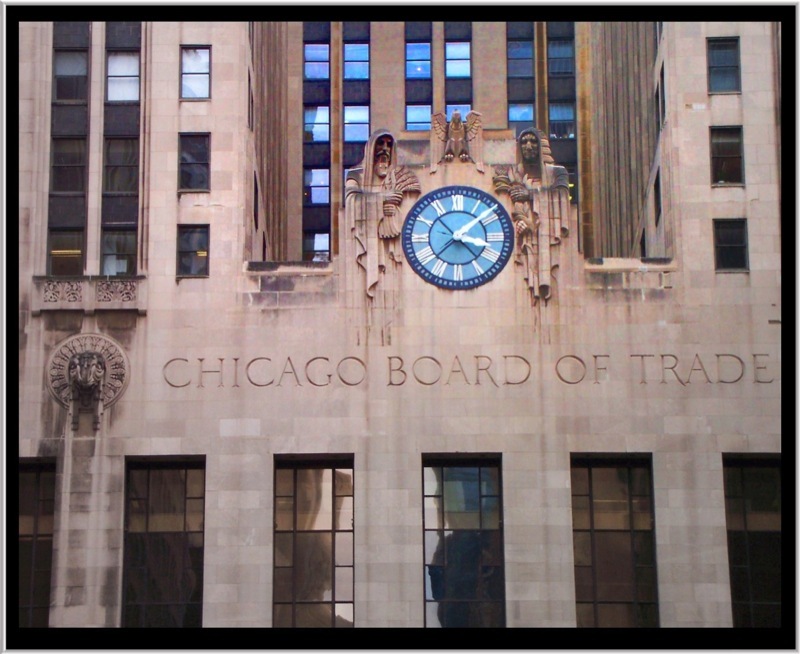 The single biggest factor keeping the price of corn lower than usual was the early expectation of a record crop in the United States. Like it often seems is the case with all farming questions, the weather is at the root of this—except in this case, it’s actually been the case that the weather was too good. A long summer in much of the U.S., which is the world’s single largest corn producer, has suppressed market prices for corn all summer. As the U.S. harvest has come in without any major issues, the price has stayed down. Even unrest in Ukraine, the world’s fifth-largest producer of corn, hasn’t affected the world supply enough to counteract the massive U.S. crop. Ontario is Canada’s largest corn producer, and it produces significantly more than the next-largest province, Quebec. About half of Ontario’s corn is used for animal feed, while the other half is sold to companies that produce ethanol to be blended with gasoline. Philip Shaw, who writes market trend commentary for Grain Farmers of Ontario, notes that demand for ethanol production is sharply on the rise, which has prevented corn prices from falling even lower. There are a few factors that might help farmers get a better price for their corn at a local level this year. Like this year’s Ontario soybean crop, planting was delayed this spring; combined with the early expectations for a record U.S. harvest, many farmers avoided planting corn altogether. Some farmers who did grow corn this year are hopeful that a local crop which is smaller than usual will help them market theirs to local processors. Should they be willing to pay a small premium to save on the expense and inconvenience of importing plentiful U.S. corn, processors will have a smaller local crop to buy from. While the crop largely hasn’t been harvested yet (in much of the province, field corn still needs at least two weeks of frost free weather), it’s unlikely that the price will improve any time soon. Farmers will be keeping an eye on news about the U.S. harvest. As Shaw points out, it appears 2014 has been the year that supply caught up to a period of increased demand from 2007-2013. With the uncertainty of a late harvest, expect cash prices to fluctuate daily well into the season. 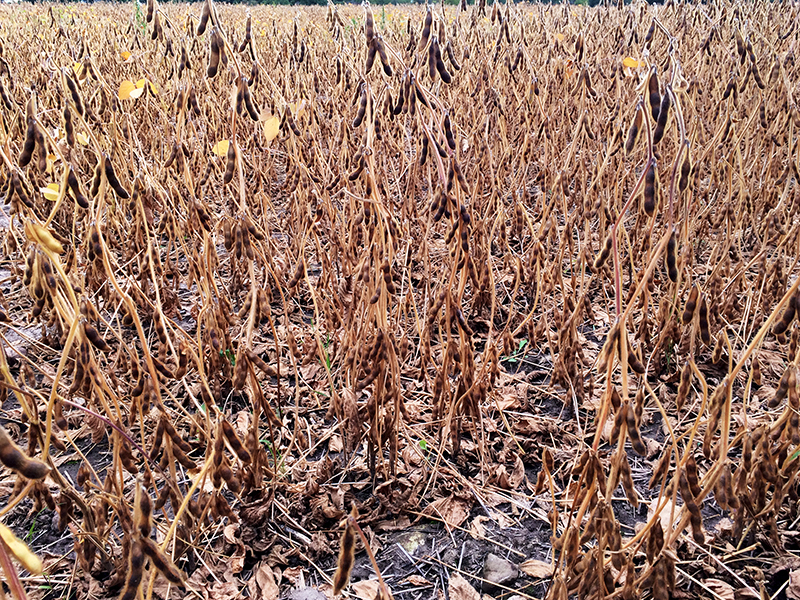 Usually by mid-September, farmers across Ontario will have already begun harvesting the soybean crop; however, this year’s soybean harvest is at least two weeks behind in most parts of Ontario, and as much as a month behind in others. There are a few reasons why this year’s crop is so far behind schedule, but like a lot of farming concerns, they’re all weather-related. Because of the long winter and deep frost, spring planting couldn’t begin until June in most parts of the province—about a month’s delay. In addition to the late start, crops haven’t seen as much warmth as they typically need, since it has been a very cool summer (and in some places, very wet). Like all crops, soybeans need sun, warmth, and time to develop. Soybeans are typically planted in mid-May, when the soil temperature is at around 14-16°C, and there is little chance of frost after the seedling emerges from the soil. Soybeans usually take 95-105 days to grow from seed to maturity: as a single soybean plant matures it will produce as many as 80 fuzzy pods full of 2-4 beans each. The plant is ready to be harvested when it dries and turns completely brown. Soybean farmers will be looking for another few weeks of warm weather this fall. Farmers have been growing soybeans in Ontario since 1942, and since then it has become the province’s largest field crop in terms of dollar value to producers. You can learn more about growing soybeans in Ontario and soybean products at Grain Farmers of Ontario or by visiting the Growing Connections trailer, which is at the International Plowing Match in Simcoe County this week. Grain Farmers of Ontario will be bringing our 53’ trailer exhibit, Growing Connections, to Simcoe County for this week’s International Plowing Match & Rural Expo. Just south of Barrie, this year’s IPM is taking over Ivy, Ontario. Today’s Opening Parade will feature the Ontario Provincial Police Golden Helmets precision motorcycle team and begins at 10:30am. The festivities officially begin at noon, as Canadian Olympic Gold Medalist Jennifer Jones, one of Canada’s most accomplished and recognizable curlers, leads the Opening Ceremonies on the Main Stage. What began as a provincial plowing competition over 100 years ago has grown into one Canada’s largest outdoor exhibitions, and more than 100,000 visitors are expected to attend. The IPM runs until Friday, and it features competitions in horse and mule plowing and tractor plowing of all skill levels. Attendees will also be treated to concerts, tractor square dancing, food and fair activities, and the annual Queen of the Furrow competition. Learn about the Good in Every Grain when you visit Grain Farmers of Ontario at the IPM this week. Connect with us on Canada Day! 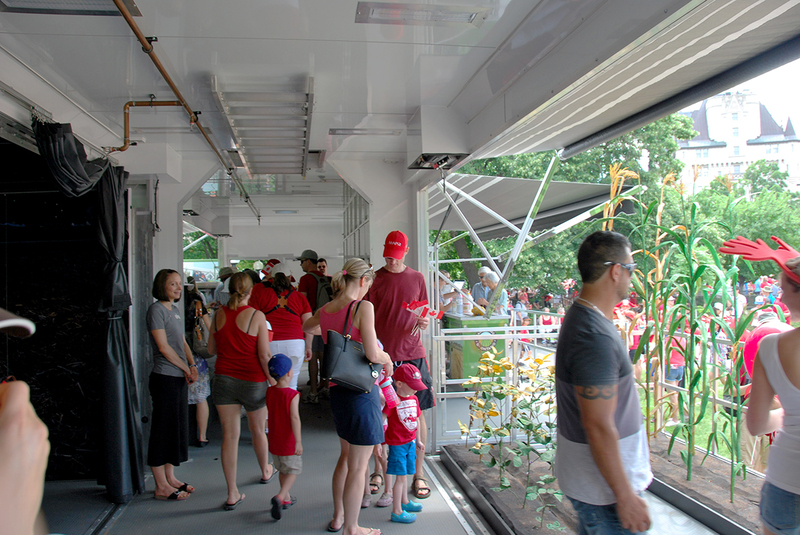 Grain Farmers of Ontario’s 53′ trailer exhibit, Growing Connections, will be in Ottawa for Canada Day. Visit us in Major’s Hill Park to explore our crop stage, watch videos in our theatre room, try your hand at one of our video games and interact with our touchscreen map, and learn how to make homemade play dough in our kitchen stage! Grain Farmers of Ontario staff and delegates will be present to answer questions and help you celebrate our nation’s birthday! 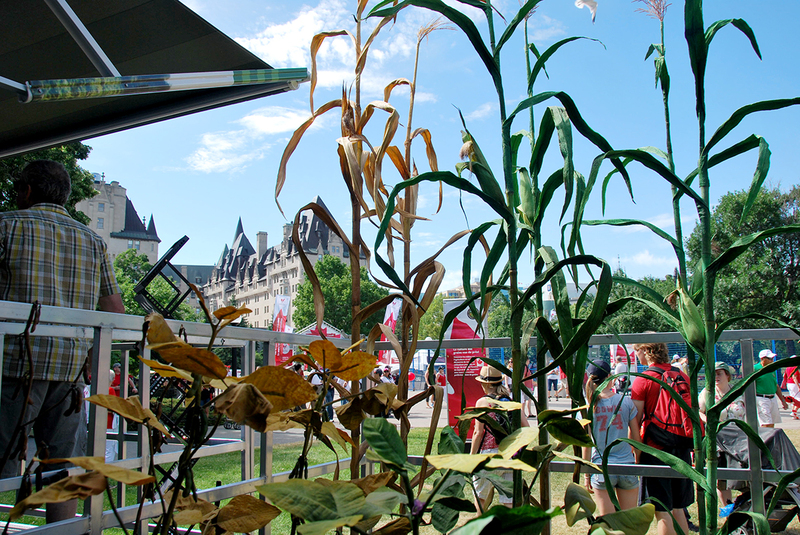 If you live in Ottawa or are planning on being there for Canada Day, visit Grain Farmers of Ontario and all of the other free events- it’s sure to be a fun, family-friendly day!